AdhereTech's "smart pill bottle" is designed to make sure you have no excuse for not taking your medicine. The container includes a sensor that tracks the amount of medication left inside and sends the information wirelessly to patients and doctors. 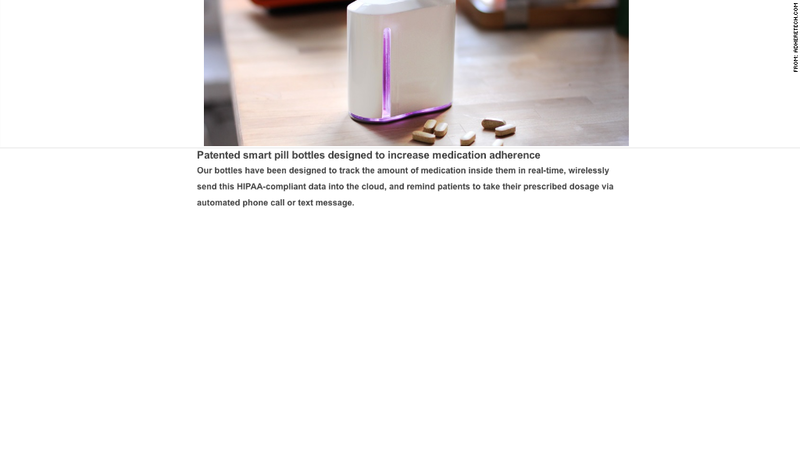 If you miss a dose, the bottle sends you a text message reminder, a step that the company claims increases prescription adherence from about 60% to 90%.